Crystal Kiss | Zonyxa. Unique and contemporary jewellery for Work. Love. Play. 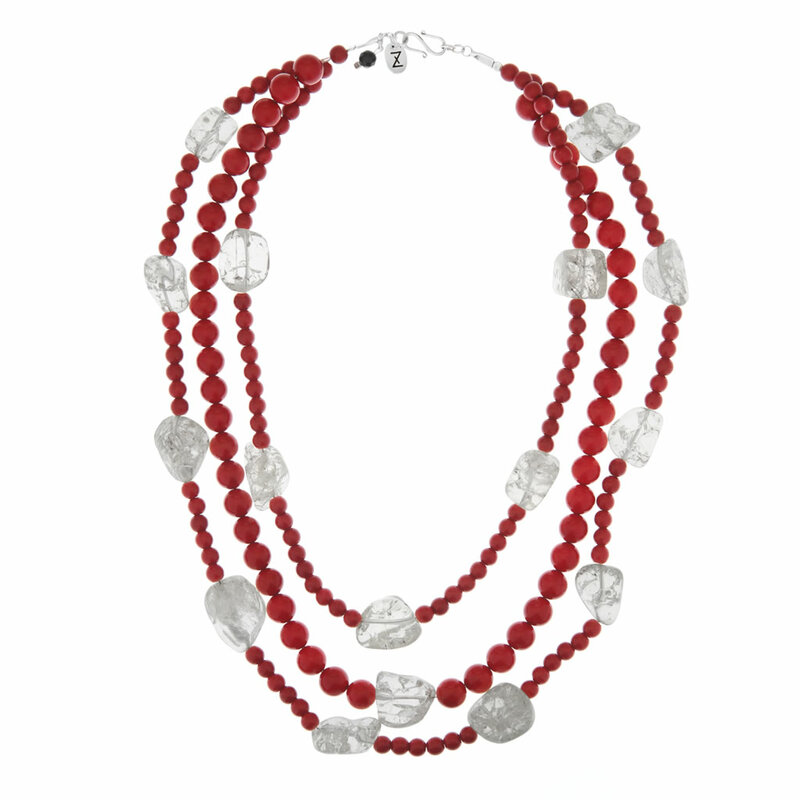 Thanks to the rich red coral beading interspersed with free-formed crystal. It’s suitable for evening occasions. Materials: Red coral and crystal.